We have taken all of Dr. David Hawkins’ teachings and combined them into the key elements that are most beneficial and applicable in today’s world. This library is nothing short of a step-by-step system for recalibrating human consciousness. The British colonized India, and when they did so, they were motivated by self-interest and exploitation. They were “calibrated” to the level of pride. Gandhi, who was calibrated at a much higher enlightened level, was able to defeat the entire British Empire because his consciousness was one of far greater power. The British Empire represented force, and whenever force meets power, force is eventually defeated. It’s been demonstrated over and over again throughout history. When we want to change ourselves, someone else, the government, or even the world, the easy answer is to focus on increasing our individual power. 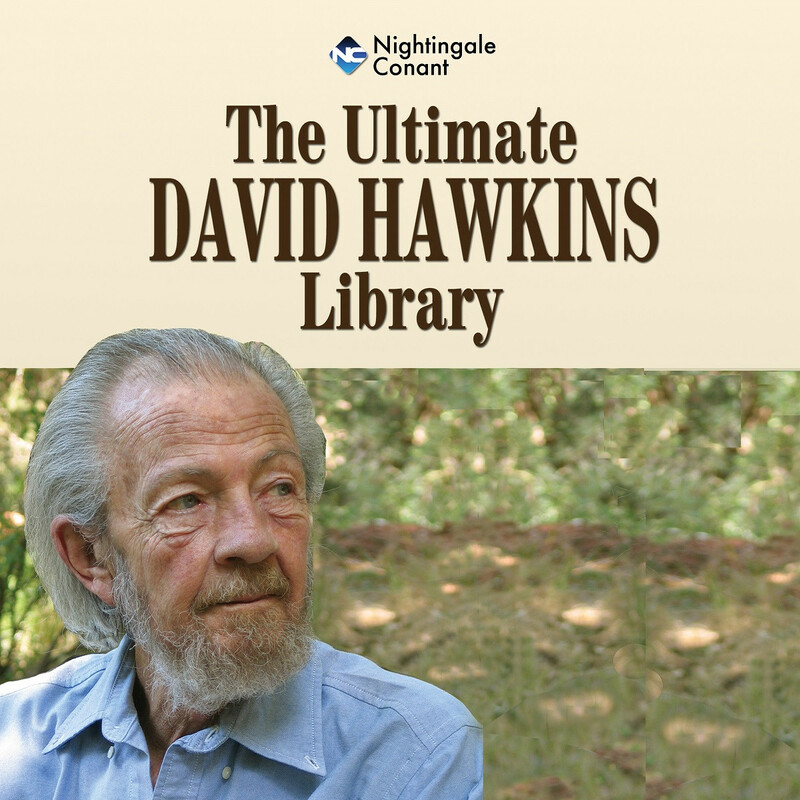 And in Dr. Hawkins’ new audio course, The Ultimate David Hawkins Library, you will learn how to do just that. Help heal yourself of illness or addiction by reaching the state of consciousness in which you can make it vanish. Discover the truth or falsity of any statement, irrespective of your feelings about it. Understand the power of a simple attitude adjustment, as well as the consequences of various emotional states. Gain instant access to information that is beyond the capacity of all the world’s computers. Detect the exact point in any complex system where the least effort brings about the greatest result. Understand the source of the power of democracy. Discover the true power base of successful business, as well as of the marketplace and commerce. Discover the secrets of genius, creativity, and the arts. Understand the exact spiritual pathways to enlightenment and advanced states of spiritual awareness. Identify the underpinnings and levels of truth of the world’s great religious and spiritual teachers. Learn how 85% of the world’s population falls below the level of “integrity” and how it is counterbalanced by the 15% who calibrate it back again. Understand the plight of all mankind and transform that insight into compassion that uplifts, heals, and enlightens. Remove doubt and ascertain the correctness of personal decisions. Make better choices by learning the calibrated level of power for each option and choosing the more powerful option. Discover the simple steps to serenity. Learn what it takes to detect counterfeits, bad checks, false claims, or any fact that is in doubt. Learn to easily resolve complex business issues and decisions. Select the best employee for a given job. Resolve marital and personal relationship problems. Eliminate doubts about the fidelity of a relationship, employees, business associates, lawyers, accountants, earnings statements, contracts, and customers. Learn how to detect the honesty of any business, investment, politician, witness, crime suspect, etc. Learn how to treat your ego as a friend, not a foe, and how doing so advances your spirituality more quickly. Discern the trappings of intellect and how to raise your consciousness from your head to your heart. Experience higher levels of enlightenment without going through all the hard work and difficulties of traditional spiritual practices. 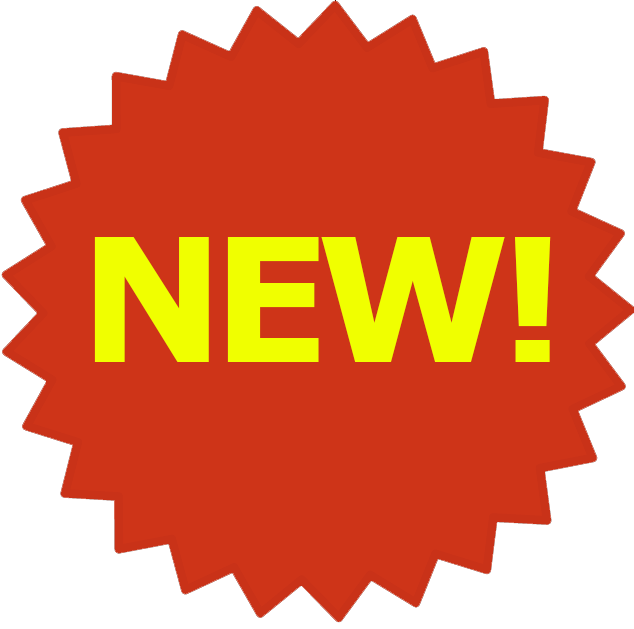 Know instantly whether a new subject that catches your fancy is worth pursuing. Determine which charitable cause is most deserving of your generous donations. When Dr. Hawkins first encountered the relationship between the mind and the body, he was amazed at the endless possibilities. It was the “wormhole” between two universes – the physical and the mind and spirit – an interface between dimensions. What was even more exciting to him was that all its benefits could be visibly demonstrated. Follow Dr. David Hawkins’ fascinating journey, and you’ll see how simple it can be to raise your consciousness to higher levels of power. It is a journey you will never forget, and your life will never be the same after trying it. Yes, please send me The Ultimate David Hawkins Library so I may have a better connection with my spiritual source. Those who loved him and knew him best have affectionately referred to Dr. David Hawkins as “doc.” His profound message of spiritual truth, enlightenment, and growth is delivered in this incredible new audio collection, The Ultimate David Hawkins Library. In the10 volumes, you will have access to the most empowering audio segments taken from the five audio courses David recorded for Nightingale-Conant. Included as a special feature is a Bonus Volume recorded at one of the last lectures he delivered. The result is an unforgettable and, indeed, life-changing listening experience. A nationally renowned psychiatrist, physician, researcher, spiritual teacher, and lecturer, Dr. Hawkins was the Founding Director of the Institute for Spiritual Research, Inc. (1983), and Founder of the Path of Devotional Nonduality (2003). He lectured widely at such places as Westminster Abbey, Oxford Forum, The University of Notre Dame, The University of Michigan, and Harvard University. In addition, he was an adviser to Catholic, Protestant, and Buddhist monasteries. He conferred with foreign governments on international diplomacy and was instrumental in resolving long–standing conflicts that were major threats to world peace. So you are dealing with a well-respected psychiatrist with impeccable credentials, a person who has discovered a spiritual breakthrough that now makes it possible for the highest levels of enlightenment to be reached by average people. It truly can change the world, and you can take part in the early stages of its impact by ordering your copy of The Ultimate David Hawkins Library. The vast majority of self-help and success-oriented teachers tell people to follow outward, assertive, ego-oriented methods to achieve long-lasting wealth and happiness. Now that David has given you the ideas, inspiration, and encouragement to begin walking the path of enlightenment, how can you be sure that you are progressing along the path and not simply walking in circles? In this volume, David explains the calibration method and the Map of Consciousness so you can reach the very highest levels of enlightenment. Now that you have a clearer understanding of how to calibrate spiritual truth and the Map of Consciousness, you are ready to begin elevating your level of spiritual consciousness to its highest potential. In this volume, David will give you several ideas for doing just that. Oftentimes, the harder one tries to pursue a spiritual path, the more the person can feel as if he or she is getting nowhere. In this important volume, we’ve included several segments in which David discusses these “Obstacles to Spiritual Growth” so that you can identify them, overcome or avoid them, and get back on the spiritual path. David begins by discussing how following false spiritual teachers who promise to unveil unknown spiritual “secrets” can be one of the greatest obstacles to true spiritual wisdom. In this volume, we move beyond specific spiritual obstacles to perhaps the greatest challenge that faces any spiritual seeker. The process you’ll learn in this volume is one of the most difficult steps along the path to enlightenment because the tentacles of the ego, even among the most spiritually inclined, are deep and firmly entrenched. The next volume in our series serves to answer one of life’s most profound spiritual questions: What Is Truth? In this classic interview segment that follows, a Nightingale-Conant producer has a lively discussion with David on what he calls his 38 Characteristics Inherent in Spiritual Truth. And, after listening, we hope you’ll be a bit closer to answering that profound question. In the last few volumes, we cleared out the obstacles to spiritual growth, the tentacles of the ego, and the false ideas that some try to disguise as spiritual truths. Now, in this session, we’re going to, as great educators or athletic coaches say: “go back to basics.” In the segment that follows, we will outline The Nine Fundamentals of Conscious Spiritual Growth. Focus on and apply these fundamentals to your life, and if you do nothing else, you’ll be well on your way to the highest levels of enlightenment. Now that you have the fundamentals of conscious spiritual growth in place, you need to begin a course of regular spiritual practices to keep you in “spiritual shape” and to help you deepen your sense of spiritual awareness. In this enlightening volume in our library, David will describe some of the most important and effective spiritual practices he recommends: from the most basic practices in the early segments of this volume, to the most advanced practices in the later segments of the volume. And we begin with one of the most popular and effective spiritual methods known to man. In this final volume in The Ultimate David Hawkins Library, David expands his view from one of individual enlightenment to enlightenment on a national and global level. And, as you’ll hear in the segments that follow, enlightenment, on any level of life experience, is achieved by applying the same spiritual principles. The challenge for each of us is to become an enlightened leader ourselves so we can inspire a generation of enlightened leaders who can help to raise the calibration level of our country and, ultimately, our world. David begins this session by discussing the current divided political climate and concludes on a spirit of unity, with a prayer to send you happily and courageously further down the path to enlightenment. In this special bonus volume, our friends at Veritas Publishing allowed us to provide this classic lecture, one of the last lectures that Dr. Hawkins ever delivered, to our valued Nightingale-Conant customers. The lecture is titled “The Most Valuable Qualities for a Spiritual Seeker,” and this is just one part of a four-part set, available from Veritas Publishing. We are pleased to provide this special segment, unedited, for your listening pleasure. Step through the spiritual door to a much greater level of awareness and power. You, and all those around you, will be glad you did. YES, I want to be empowered by great levels of spiritual understanding so I can help myself and those around me. Please send me The Ultimate David Hawkins Library — I can select one of two ways of ordering. GUARANTEE: If I do not find this course to be life changing, I can return it any time within 30 days for a full refund of the purchase price. No questions asked. If I buy the audio course in the MP3 format and wish to return it, I will simply call Nightingale-Conant to arrange for a refund.